"Early this morning a gruesome discovery was made by a gardener employed at Holford Hall in Loamshire..."
Robert Saunderson's murdered body is found in the summer house at Lord Medchester's country mansion. Some crystal beads, broken off a neckace and found on the scene, form the primary clue. But where is the necklace, and whose could it be? Detective Inspector Stoddart and his assistant Harbord have to unravel a mystery that cost two men their lives and destroyed the reputation of others. 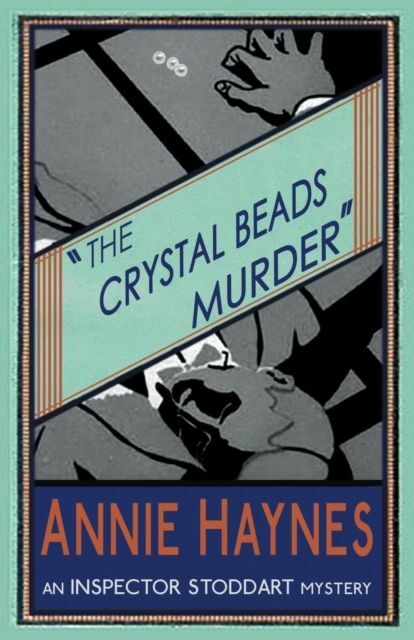 The Crystal Beads Murder, first published in 1930, was the last of the Inspector Stoddart mysteries, and Annie Haynes' final book overall. She died, after a long illness, before completing it and it was finished by an unknown friend and fellow writer. This new edition features an introduction by crime fiction historian Curtis Evans.